Apple has released new beta software for developers. 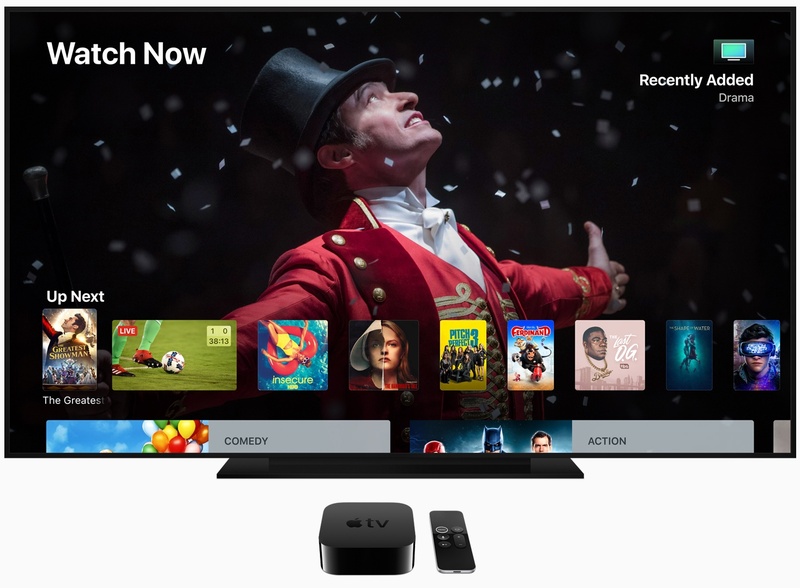 In addition to iOS 12 beta 2, the company has launched tvOS 12 beta 2, macOS Mojave beta 2, and watchOS 5 beta 2. Here are some tweaks that have been uncovered about these latest betas for watchOS 5, tvOS 12, and macOS 12. On tvOS 12 beta 2, Apple has turned on Dolby Atmos support. This is located in the Settings app under Video and Audio > Surround Sound > Spatial Audio: Dolby Atmos On. In macOS Mojave beta 2, Apple has brought back the Software Update preference pane of old. On watchOS 5, podcasts now work. Be sure to take a look at our Twitter feed for more finds. New challenges: The update includes the ability to challenge friends through weekly competitions. You’ll also find new workouts for yoga and hiking, and for runners. Finally, watchOS contains automatic workout detection too. Walkie-Talkie: One of the best watchOS 5 features may turn out to be Walkie-Talkie, which is available through Cellular and Wi-Fi. 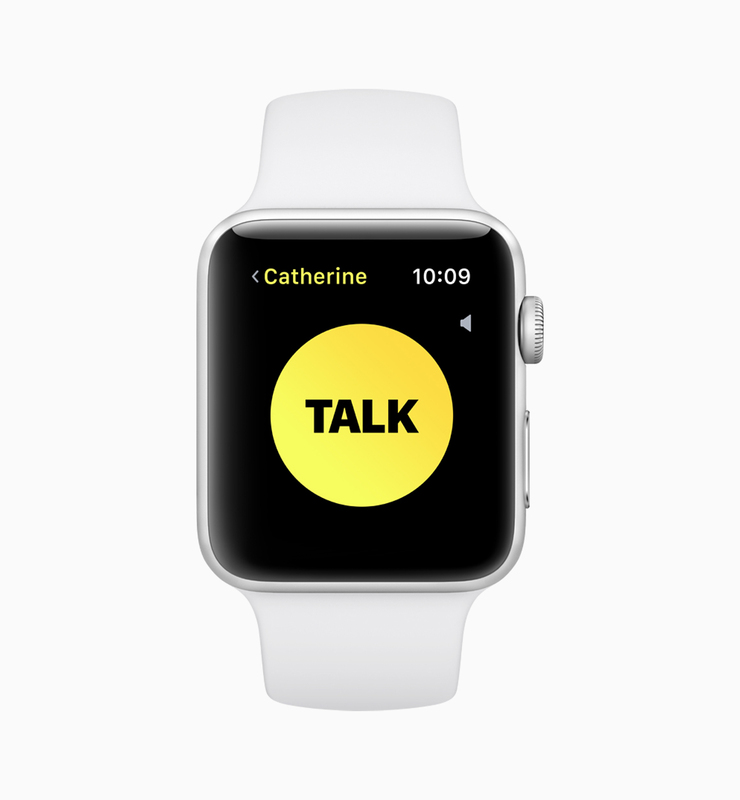 Podcasts, WebKit: Podcasts have also arrived on Apple Watch, as has a WebKit on watchOS. The latter will allow you to few web content in mail or messages. 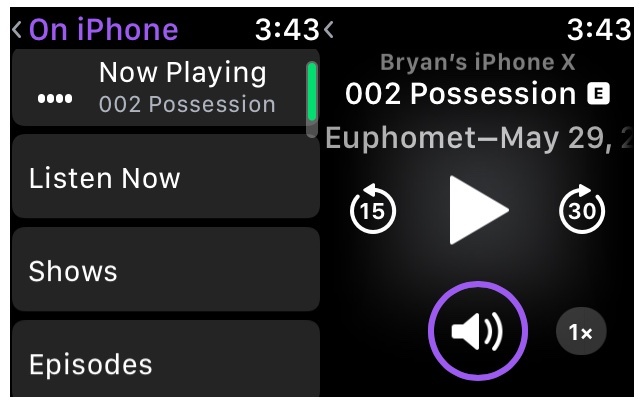 Rearranging Control Center: You can now rearrange Control Center toggles on your Apple Watch. This is the first time Apple Watch wearers have been able to customize the layout of their Control Center, directly from their wrist. Connect to nearby Wi-Fi networks: WatchOS 5 brings a handy option in the Settings menu that permits customers to manually connect their Apple Watch to nearby Wi-Fi networks. The most critical feature in tvOS 12 is the introduction of Dolby ATMOS support. You’ll find this support added to iTunes content already purchased. Apple also announced a zero sign-on feature that logs you into an app by merely being on your Wi-Fi network. Do you love the wallpapers that come with Apple TV? You can now use your Siri Remote to tap and learn more about the aerial location, which will now include wallpapers from the International Space Station. The new software update for Mac offers a Dark Mode and updated Mac App Store that looks a lot like the iOS App Store. Click here to see your favorite Mac apps in Dark Mode. 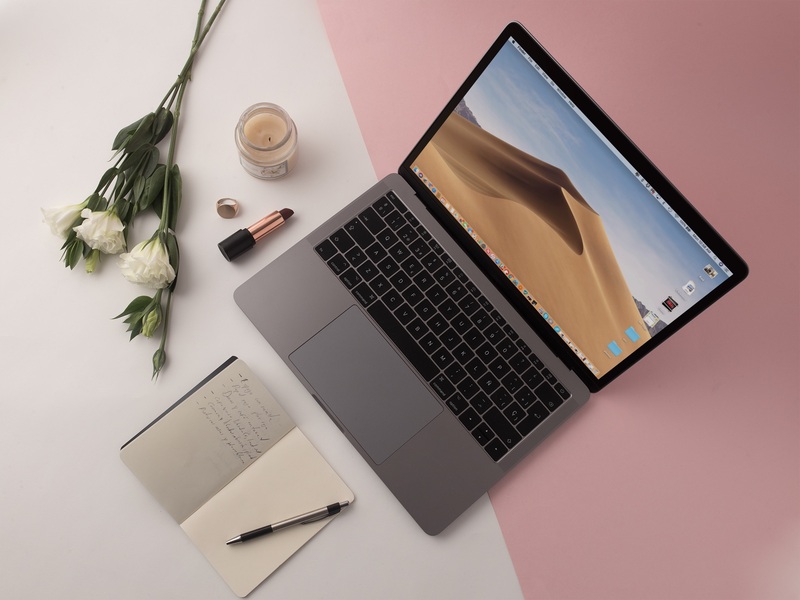 MacOS Mojave brings a new Dynamic Desktop feature that automatically changes the new desktop wallpaper to match the time of day. With Desktop Stacks, you can arrange your files by kind, dates, or tags. New Finder features include a gallery view, sidebar view with metadata, and quick actions. Quick Look now provides Markup support. MacOS Mojave is also adding a lot more screenshot tools including easy markup. With the all-new Continuity Camera feature, you can shoot a photo on your iPhoto and see it on your Mac automatically. New Mac apps include News, Stocks, and Voice Memos. The Home app also arrives on Mac. Safari also gained new privacy features, and you’ll see a new fingerprinting tool too. 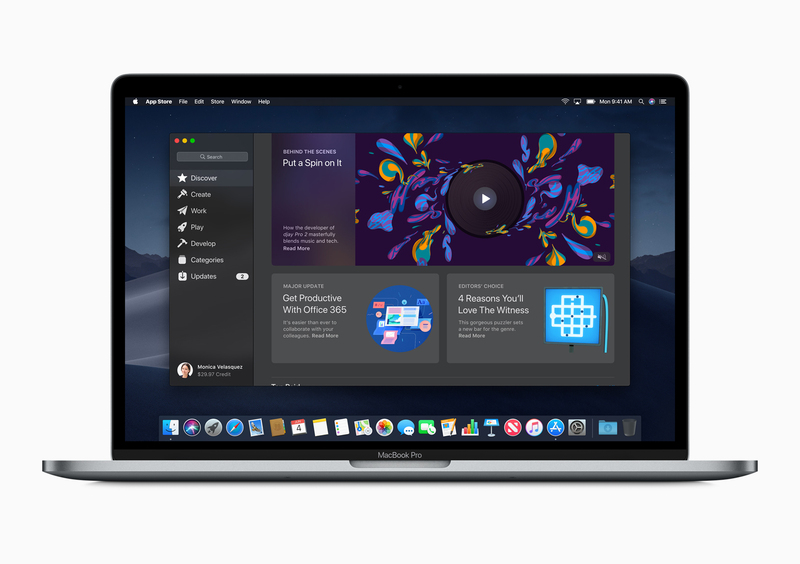 A lot of the Mac developer tools aren’t arriving until 2019.
iOS 12 and macOS 10.14 bring improvements to AirDrop, Apple’s proprietary peer-to-peer file transfer feature, which can now be used to wirelessly send any saved passwords or usernames from one iPhone, iPad or Mac to another. Facebook, Twitter, and other social networking sites no longer have third-party integration in macOS Mojave. 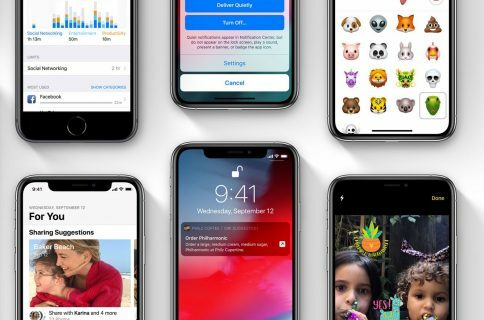 The shift follows a similar move that was enacted with iOS 11 in 2017. With the change, accessing and sharing information with those services on your Mac will require a few more steps. Mojave brings back the long-awaited favicons to help visually distinguish between multiple open tabs. What’s more, favicons are available for the first time on iPhone and iPad thanks to iOS 12. In macOS Mojave, Apple is bringing apps from iOS to the Mac for the first time, including News, Stocks, Voice Memos, and Home. The News app for Mac offers all the content you’ve come to expect from the curation app in a design that looks familiar.